I would firstly like to say what a pleasure it has been for me to play and support MiniMonos over the past 3 years. I remember the beginning of MiniMonos when it first began, less than 40,000 monkeys, the beginning of a new era of online virtual world gaming. 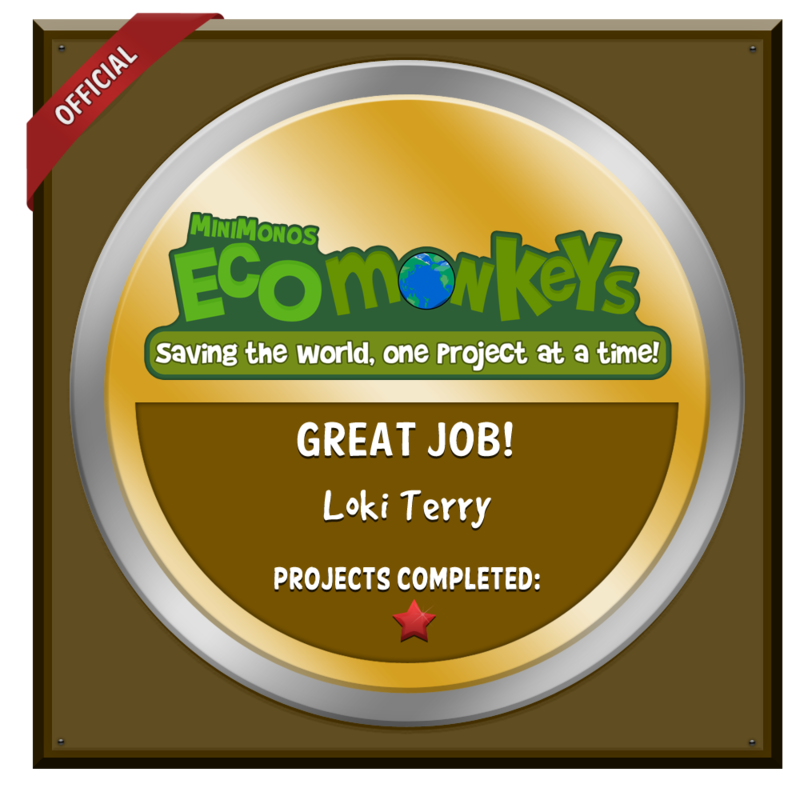 Over the 3 years of being on MiniMonos, I’ve had the privilege of being a member of MiniMonos, completing eco-projects, attending parties e.g. Bananaza Beta party, being a MaxiMonkey and several other things around the island. It’s been a fantastic pleasure of meeting lots of new people and communicating with a community. It was a huge surprise to me the announcement of this when I woke up this morning and I find it hard to write my farewell post to MiniMonos after all these years, especially that they released a brand new MonkeyMe app a few weeks ago. I also remember the days of MiniMonos See You Sunday!, staff members like Kalia, Hatman, Littlestone, AlwaysMonkeys, the former EcoMom (Andrea). There is so much I can say but I promised myself to keep it short. I hope that former staff and all the monkeys that have signed up to MiniMonos (over 1.5 million) can acknowledge and come online if they can and celebrate the next week with us. 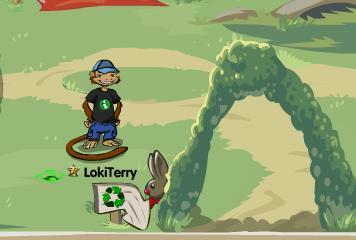 The friendships I have made with monkeys over the years will not end and I will still communicate with you all (Twitter @LokiTerry) or email me lokiterry(at)chtz(dot)info and my MiniMonos blog, MiniMonos Info will be remaining here and hasn’t got any plans to leave for the foreseeable future. I hope to be able to attend any remaining MiniMonos parties on the island and all I can say to the MiniMonos current and former staff is a big…. ~Loki Terry ~ MiniMonos.info / CheatsWhiz.com MiniMonos. 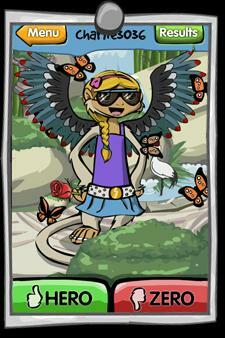 What is your favorite item or pack on our new app, MonkeyMe? Every monkey who lets us know will be put in the draw to win a REAL MiniMonos iPhone case! In addition, everymonkey who tells us what MonkeyMe item they think is bananamazing will win 1,000 Banana Chips on MiniMonos! Posted in Go Bananas Blog	| Comments Off on MiniMonos win a RARE MonkeyMe iPhone Case! MiniMonos recently released a brand new iOS applicaiton that is free for monkeys to download, called MonkeyMe. It’s out to download right now and it’s free! – Check it out! With this application, you are able to style a monkey and enter it into the daily competition and then other monkeys vote on how it looks. Once you’ve tried the application, give it a rate and review on the iTunes application store to let the team know what you like about the application or any thoughts you might have! Posted in Go Bananas Blog	| Comments Off on MonkeyMe MiniMonos – Have you tried it?! 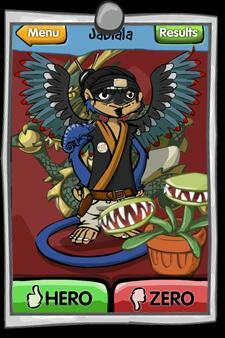 Posted in Go Bananas Blog	| Comments Off on MiniMonos MonkeyME Monday: Crazy cool combos! It’s been a busy week on MiniMonos with the brand new MiniMonos Heroes, which you can level up to become the way of the Warrior, Guardian and Inventor. 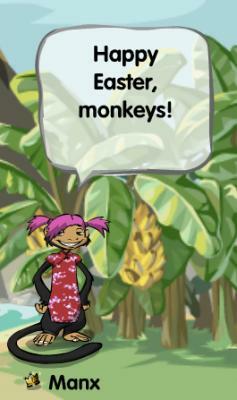 There’s been lots of monkeys playing games to level up, it’s fantastic! Find the chocolate bunny and Easter egg basket to unlock free xPowers this weekend! Then, Bananatastic said get ready to PARTY with Bananatastic and Minimonos Ambassadors all weekend long! Keep an eye on the News shoutouts in-world this weekend to find out when the next pop up party is! AND make sure you come along to the Easter Party hosted by MiniMonos Time! Click here for the pre-party and Easter Party details! If you come along you’ll have a chance to win a 1-Month GOLD Membership from MiniMonos Time authors Tommypp and Technobanana! Posted in Go Bananas Blog	| Comments Off on MiniMonos Easter Party Weekend! Win a RARE MiniMonos Warrior T-Shirt! Monkeys! 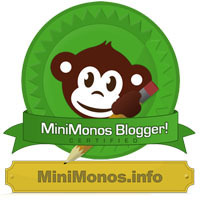 – have you seen the updates on MiniMonos? – It’s that time to BE A HERO! 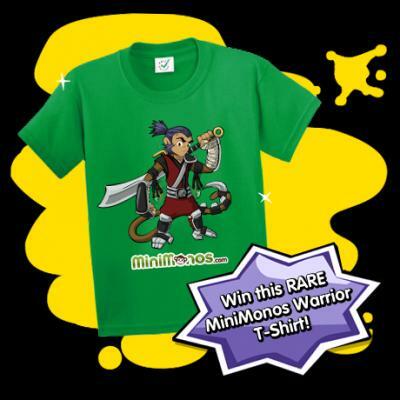 – There is a chance for one of you monkeys out there to win this RARE MiniMonos Warrior T-Shirt from the NEW MiniMonos Shop. EVERY MiniMonos monkey who builds their Way of the Warrior up to Level 25 by April 1st will go in the draw to win the this SUPER RARE MiniMonos Warrior T-shirt! Send an email to contests@minimonos.com and let us know when you have reached level 25! The contest ends April 1st… what are you waiting for? It’s time to level up! 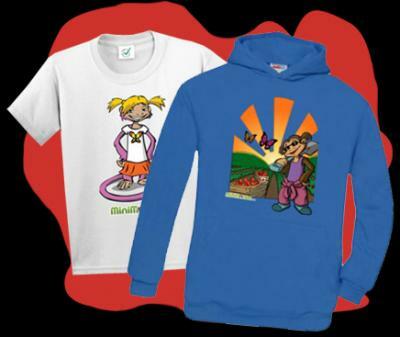 Posted in Go Bananas Blog	| Comments Off on Win a RARE MiniMonos Warrior T-Shirt! MiniMonos Epic Easter Egg Hunt! Manx has posted on the Go Bananas blog with some news about an Easter Egg Hunt for UK monkeys! Easter is almost here, and Swapit’s Easter Bunny has gone on the run and left a trail of Easter eggs across the web for you to find! Join in on this Epic Easter Hunt for chances to win BANANAMAZING prizes! All you need to do to start your hunt, is to click here and check the clues leading you to the next Easter egg. For every Easter egg you find you’ll get 30 swapits to spend on Swapit. Once you’ve got some Swapit points check out the Easter Frenzy where you can bid on heaps of cool free stuff! Some of the eggs contain special prizes–like MINIMONOS goodies –so make sure you hunt them all down for a chance to win! If you find ALL of the eggs, you’ll be entered into the draw to win a Blackberry Playbook! — which is pretty sweet! Visit Swapit’s Easter Hunt to find out more! MiniMonos BONUS Green Butterfly Suit! Monkeys! – MiniMonos are offering a BONUS Green Butterfly Suit this weekend. All you need to do is Purchase Shells, Banana Chips or a MiniMonos Gold membership between now and midday on Monday and get a BONUS Green Butterfly Suit on MiniMonos! Offer ends midday Monday March 18th, Monkey Time (GMT). 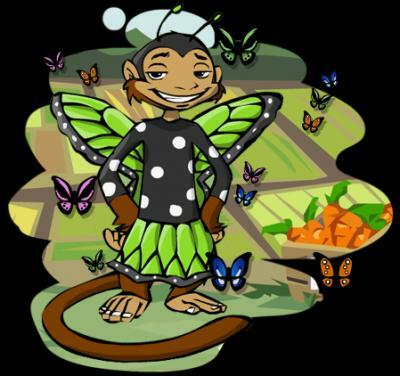 Posted in Go Bananas Blog	| Comments Off on MiniMonos BONUS Green Butterfly Suit! Weekly Wonder: Where’s the strawberries?! Can you help Bea find her strawberries before they go bad? Leave a comment and let me know how long it took you to complete the maze!